Entrepreneur and frontier investor Marko Dimitrijevic offers a look at several traditional and non-traditional fields where entrepreneurs can break new ground. Marko Dimitrijevic, A Miami-based investment expert, Marko Dimitrijevic is an entrepreneur, photographer & author of Frontier Investor: How to Prosper in the New Emerging Markets. 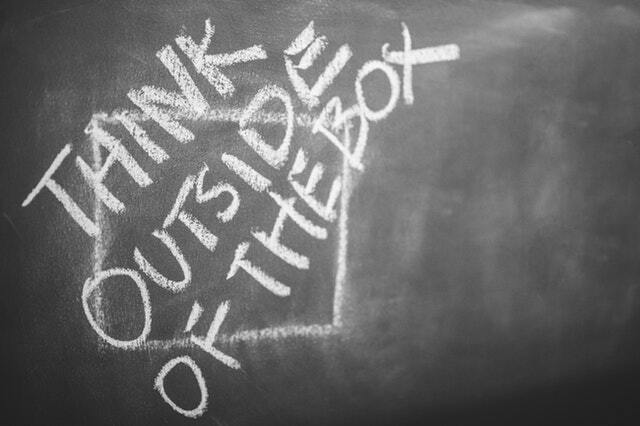 The outside-the-box industries that should be on every entrepreneur's radar. Two of my long-term goals as an investor are to always imagine the world ahead, and to learn something in the process. Large-scale changes and cultural shifts can’t always be anticipated, but there are many industries that are exciting, profitable, and making a difference in our future. Here’s a look at several traditional and non-traditional fields where entrepreneurs can break new ground. Traditional livestock require land, feed from corn or soy, and water. They also play a part in contributing to climate change. This is a huge potential industry, with room for innovation at every turn and a high demand for new products, particularly in aquaculture. Just this summer Protix in the Netherlands raised $50 million, the largest funding round yet for a company in insect protein. They currently provide insect-based feed for pigs, chickens, fish, and aquaculture, but their move into the food industry will open new avenues. Humans also need protein sources, and insect protein has already made headlines in various energy bars and other meat replacement products. The FAO published a fascinating report on how insects are consumed globally, with many examples of how cultures outside of the US are embracing insects. Ynsect is an exciting company we have invested in this field. The Internet of Things is already upon us, connecting our devices and mapping our homes. This makes us vulnerable in our very living rooms. In some cases, companies have gotten a little ahead of themselves by collecting and selling data, such as with Roomba mapping homes. Concerns also arise as home assistants such as Alexa bring microphones and internet connections into every room of the house. Naturally, the next step is intensified cybersecurity, both at a personal level and for the providers of connected products. Protecting our personal home data will become as necessary as locking our doors, and the companies who meet this demand are poised for growth. We have invested in Fhoosh a company that ensures that data security doesn’t come at the expense of speed. Investors are often interested in helping people thrive as much as a business. With internet and smartphones expanding across the world, learning is taking on new meaning. As certifications and quality teachers become available online to anyone, anywhere, the opportunities for innovation in the education space are numerous. This is a place where having a passion for helping people can be the extra spark between a wild success and the average business. Ed tech is a space where entrepreneurs can see the human aspect of their innovations and investments almost immediately through individuals who learn, expand their opportunities, and better themselves. Within this sphere, immersive virtual reality is an especially exciting space. People learn through different methods: audio, tactile, memorization, visual. Virtual reality is an opportunity to engage all the senses in order to give someone the full experience, and full absorption, of a subject. There are myriad ways to find a niche, develop a technology, or change the status quo. Entrepreneurs who are willing to look at an existing industry and think of new solutions will have success in changing the immediate reality and the future. This is an amazing time for people who are ready to build the best possible future. Republished from LinkedIn Pulse. Marko Dimitrijevic is the founder of Volta Global and the author of Frontier Investor: How to Prosper in the Next Emerging Markets. Originally from Yugoslavia, Marko Dimitrijevic has been a trailblazing investor in high-growth companies and markets around the globe. He is the founder and chairman of Volta Global, a private investment group with interests in venture capital, private equity, real estate, and public markets. Over the years, Marko Dimitrijevic has invested in over 150 countries, including 120 emerging or frontier markets. He was one of the earliest Western investors in China, Russia, Indonesia, Bangladesh, and Saudi Arabia. Marko’s on-the-ground approach is accomplished, in part, to his language skills. Marko Dimitrijevic is fluent in English, French, Spanish, Serbian/Croatian, and Portuguese. He is also proficient in Italian and German.